200mg Trametes versicolor pure hot-water extract and optimized mycelial biomass. 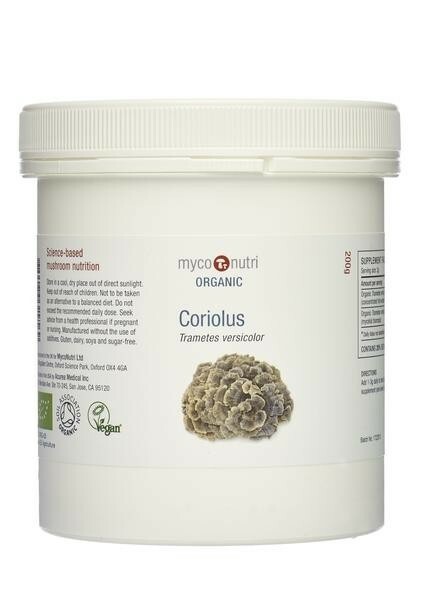 MycoNutri products are manfufactured in the U.K. to EC food standards and are suitable for vegetarians and vegans. Dairy, gluten, maize and soya-free. 200mg Trametes versicolor pure hot-water extract and optimized mycelial biomass.